San Jose-based Fireclay Tile, manufacturer of a recycled-content line of ceramic tiles called Express, has another line called the Debris Series. This line includes several patterns with up to 112 colors, and the company just released six new field pattern tiles (shown above) that can be made to order in under four weeks. Debris is made with 62% recycled-content material — pre-consumer granite dust, post-consumer bag-house glass dust, and post-consumer spent abrasives. The rest of the tile is made with Northern California clay. The zero-VOC tile is made in a factory in California, where waste water and material is reclaimed and used to make the tile. In addition, the product may contribute to LEED credits as a low-emitting, recycled-content, and regional material. Debris Series is available from about $24 per square foot. 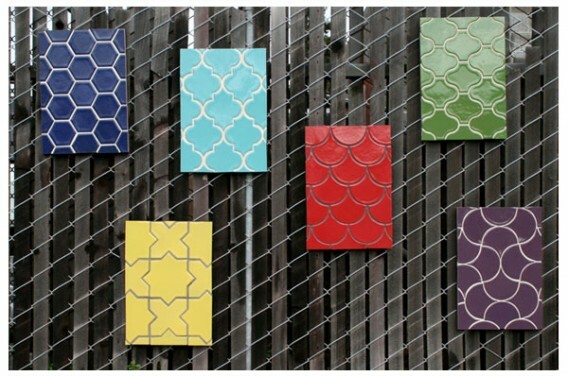 [+] More info on Debris pattern designs by Fireclay Tiles. Our homes can look nice and cozy, without putting too much harm in the environment – like that of opting for recycled tiles when constructing a home addition or remodeling the bathroom. We are fortunate to be given more option these days in order to help the environment and look for more practical ways in improving the appearance and functionality of our living spaces.